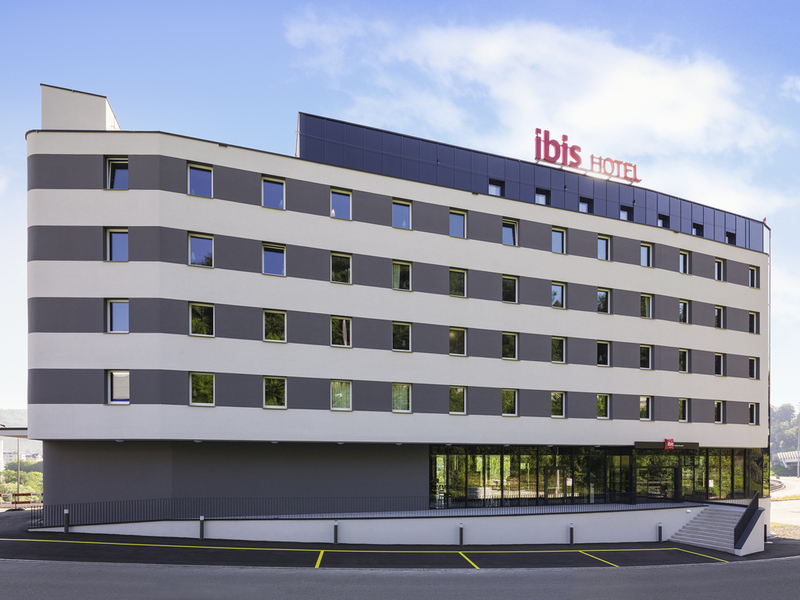 The ibis Baden Neuenhof hotel is ideally located for arriving by car or by train. Baden train station is 10 minutes away by bus and there is a bus stop directly in front of the hotel. A garage and outdoor parking are also available, along with charging st ations for electric cars. The bar is open around the clock for snacks and drinks. The River Limmat is just 656 feet (200 meters) from the hotel and offers the perfect location for a walk or run. The hotel also has free WIFI. Our hotel is in a new building and was opened in 2018. The rooms are very well insulated. Conveniently located, close to A1 highway exit number 55. Bus stop in front of the hotel. Only a few minutes from Zurich and Zurich Airport. Our bar is open 24 hours a day for drinks and snacks served with a smile.